You come out of hiding. You pull the string of your confetti popper! The confetti popper explodes with a bang, causing colorful confetti to spray forth and cover an infested river scavenger from head to toe! So this just happened. (facepalm) But got to love Bone-White's response. I giggle snorted my drink. Sorry again guys! 20:06:09 [ESP-GRAY - Wild-Strawberry]: Impressive breast. 20:06:29 [ESP-GRAY - Bone-White]: Pardon? 20:06:39 [CHAT - Kelsus]: beast? 20:07:09 [ESP-GRAY - Bone-White]: I take it you've had significant success with a breastplate? [ESP-GRAY - Cinnamon]: Damn it, someone attacked the main one, this one is attackin me. Speaking to Saeda, a bored-looking bouncer asks, "What is he on about?" Speaking to a bored-looking bouncer, Saeda resignedly says, "I don't even know anymore." You exclaim, "I don't know either!" You fold your arms across your chest. 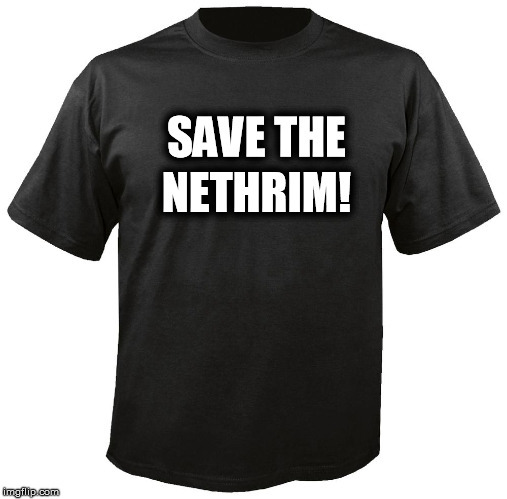 For screen readers this shows a black t-shirt with the words, "SAVE THE NETHRIM!" all in caps. For the VI group - his post is a picture of a t-shirt that says "save the nethrim!". You hand over 720 riln and purchase 4 fauteuil ebonwood chairs, which you put into your sizeable ebon leather rucksack with a silver capped leather cinch. Just let me shove the tea table in there and I have a portable party! Tea, anyone? An old man who lies fast asleep by the stage suddenly awakes again, this time with a yell of, "MORE WINE!" The finely dressed waiter hears the call but this time chooses to ignore it. Again the old man awakes and yells, "MORE MINE!". The waiter also ignores this. And again the old man yells, "BOAR VINE!" By this time everyone is ignoring him and his wife comes up and drags him away via his loose coat shoulders. Gralkik, the knight in shining armor, arrives to save the day! Fear the mighty spider slayer! It's too dark to see anything here! a hairy green-brown spider arrives from the north. a sleek black spider arrives from the north. Gralkik is revealed by a sleek black spider! Gralkik says, "Lots of spiders." an albino spider arrives from the north. A sleek black spider turns and fires a mass of sticky webbing from its spinners. Gralkik is bound tightly in a mass of sticky webbing! Gralkik struggles to break free of the sticky webbing. You hurl a molten boulder at a hairy green-brown spider. Socket crushed and eyeball popped. A hairy green-brown spider has been defeated. You hurl a molten boulder at a sleek black spider. A sleek black spider has been defeated. An albino spider attacks Gralkik with its leaping bite! Gralkik falls to the ground! You hurl a molten boulder at an albino spider. A molten boulder hurtles toward an albino spider. Piercing strike hits the jugular and death quickly follows. ... Poor Gralkik barely lasted 20 seconds. RIP, Gralkik, RIP. You will be missed. For the record, the next one hit. Is it my fault? It was a very nimble spider! This made me giggle! <3 Zoe. You hear the voice of Zoe ask, "Can you attack things with your candle?" An inky black shade attacks you with its chilling touch! Eyeball dissolves into wisps of inky smoke, leaving an empty socket behind. TIP: Armor is tougher than skin. Wearing armor can help improve your chances of survival. Well played, tip system. Well played. Marl gazes at you before raising his hand in a rude gesture. [CHAT - Marl succeeds to amuse]: WRONG emote. 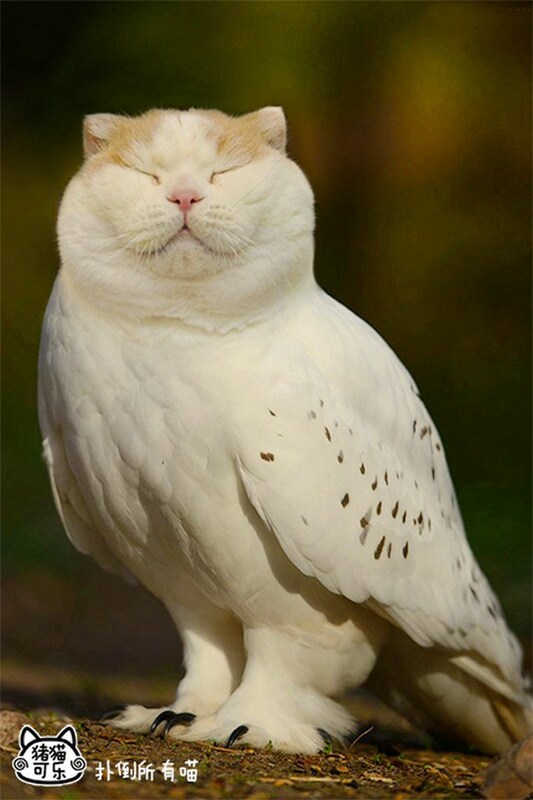 Just making sure this doesn't vanish into the void of discord chat. Here is Rook. Look at Rook. Rook must cook. Rook needs book. Rook needs book to learn to cook. Rook needs to get a Rook Cook Book. Rook took book from cook-book nook. Rook hangs cook-book on a hook to look at book while trying to cook. Hakkon says, "I shall find a different spot to make my hunt. Apologies. If I can I shall send one your way." A dirt-covered scavenger comes hurtling in from the south and lands on the ground with a crash! 31 crush damage to the left eye! The ranger Relyna says, "We've heard that a lot of people have been harvesting skyroot in the wilderness. Head out to the Forgotten Meadow area and see if you can find some to cultivate." How forgotten can a place be when you're being told to go there to cultivate herbs for the "lot of people" that are frequenting it? Chione says, "There was a castle, and in it, there was a great feast and a prince. And a man came and bowed low before the prince, and an eye of the man's was missing. the eye-hole was bleeding." Chione says, "The prince inquired of him, 'What has happened to you?' and the man replied, 'Prince, I am a thief and this night, there was no moon. I went to rob the riln-changer's shop, and I climbed through the window. But because it was dark, I went into the weaver's shop, and ran into the loom. My eye was plucked out.'." Chione says, "The thief continued, looking up with his remaining eye, 'Prince, I ask for revenge upon the weaver.'." Chione slowly says, "The Prince sent for the weaver and he came, and the Prince said he must lose an eye." Chione says, "The Weaver laid down in front of the prince and cried, "Prince, what you say is right. But I need both eyes so I can see either side of the loom when I weave. But I have a neighbour- a shoeman- who also has two eyes, and he does not need both of them.'." Chione says, "So the prince nodded and sent for the cobbler instead, and the cobbler came. And one of his eyes was removed to avenge the Thief." Chione slowly says, "And so he was avenged." Zeldryn slowly asks, "I.. Don't believe I understand. If the man plainly admitted himself a thief, then why, by all of the names of all of the immortals, was he given vengeance for his own blunder?" Chione simply says, "Because Life is unfair, and sometimes it is those that do not deserve it that get things undeserved." Zeldryn rubs his chin thoughtfully. Balein say, "Ah, yes. Life is most certainly unfair." Chione rubs her chin thoughtfully. Speaking to Chione, Zeldryn slowly says, "Interesting words from an interesting lady. That's certainly food for thought." Chione says, "But I think the story has many meanings even if it is an unpleasant one." Balein say, "But, that's the element of the game. Knowing it is unfair." Balein ask, "So.. about the feast. What happened to it?" Chione asks, "The story asks many questions. Why did the Prince listen to the thief? Why did the Weaver seek his neighbour to be hurt? Why did the cobbler not defend himself?" Speaking to Balein, Chione says, "I am guessing it continued, and that it was not a good one for the cobbler." Speaking to Chione, Balein say, "Oh, that's simple. The Cobbler had a sole." Speaking to Balein, Zeldryn asks, "Did.. Did you really?" Zeldryn politely says, "A moment." Chione says, "It is those that do not speak for themselves that are sometimes hurt." Zeldryn politely says, "Alright. Fine now." Chione concernedly asks, "You are okay?" Zeldryn plainly says, "That pun was just a bit too much for me, that's all." Chione confusedly asks, "There was a pun?" Zeldryn slowly says, "The.. The cobbler. He.. He had a.. Oh, nevermind." Surely, a tale that should sit next to "The Legend of the Frigid Cuirass" in the Annals of All Legendary Stories of Legend and Legendary Yore and Stuff and Things - coming soon to a shady bookseller near you. A treated poor rabbit pelt shies away from you and backs away. Yes, it's funny to see the 'haunted pelt' behave like that. Bets are on as to how long this bug will go unsquashed. We have this bet amongst the GM Team. We think a year, because when we go to fix the non-gamebreaking bug, we just start giggling far too much at it becomes impossible. It's almost like the pelt is really haunted and controls us! That's some pretty scary shiz you guys have to deal with! I'll stay where it's safer, for example, The Shadgard Mine. A doorman stops you from entering. "Please, sir, at least the veneer of civilization. No drawn weapons, please." You are holding a birch staff in your right hand. No, you would not part an old man from his walking stick? Marl asks, "Lemme change out of this armor. There a place here to clean up?" A constant patter can be heard as rain falls from the sky. The gore has been washed from Marl. The blood has been washed from Marl. Water slowly drips off you, though you remain drenched.